Mrs Allen, of Verandah Cottage, Quorn, has received news of her son, Pte J W Allen. Pte Allen died in June, aged 38, from illness whilst in India. He was formerly engaged in the boot trade in Sileby. The death is also announced of Pte Reg Hand, RAMC., who died in India from pneumonia. He was the son of Mr and Mrs G W Hand of Leicester, who lived for some years in Quorn, when both father and son sang in the Parish Church choir. Before joining up Pte Hand, who was educated at the Rawlins School, Quorn, and the City Boys' School, Leicester, worked in the British United Shoe Machinery Co. 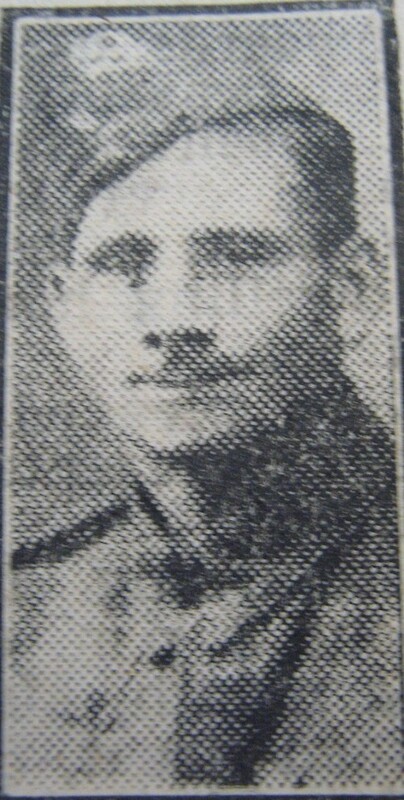 The photograph is of Private Allen.